Tis the season for layers! This month has been such a blast celebrating with my boys. So many Santa visits, Polar Express rides with hot chocolate, and Christmas movies. Its such a magical time for little ones, and being able to experience it through their eyes is just the cherry on top. There’s a park near our house thats lit up for the holidays, and we’ve taken the boys there a few times to see the lights. Bundling up in our coziest layers is always a must. 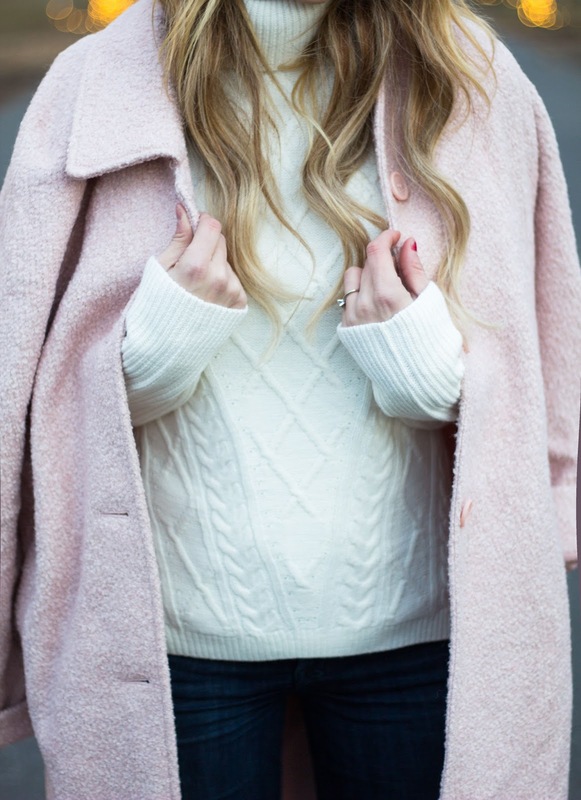 This adorable Mixed Stitch Turtleneck Sweater and blush pink coat kept me nice and toasty while walking around. These darling pieces make the perfect Christmas gift, and if you order now they can still be delivered before Christmas! Plus, they are all ON SALE! Thank me later, and happy shopping! Thank you New York and Company for sponsoring todays post through Shopping Links. As always, all opinions are my own.